It has never been easier to save with Reliance holiday packages on Expedia. You'll have more time to organise your exciting experiences — and more spending money! Savings of as much as 55%* are waiting for savvy travellers who secure a package deal on Expedia. Look through our universal database of more than 400 partner airlines and 321,000 worldwide properties. Too many on there to pick from? Don't worry — we can help you decide! Almost all accommodations can be cancelled with no extra charge from us. We have all the sightseeing info you require for your next trip to Reliance. Grab your travel planner and prepare to start padding out your itinerary. Whether you prefer to speed across it, play around in it or discover what's below it, few things are as joyful as a day spend by the water. Add some wet and wild thrills to your travels at Ocoee Outdoors, Inc. Visitors have an abundance of choice close by. Do you feel like a little fun on the water? Then rub on the suntan lotion and throw yourself into some thrilling water sports at Sunburst Adventures. Still got some time on your hands? Fancy a little fun on the water? Then slap on the sun cream and dive headfirst into some exciting water sports at Ocoee Adventure Centre. As there aren't any Reliance properties registered with Expedia, you may find it convenient to stay in Charleston, which is just 17 miles (27 km) away. 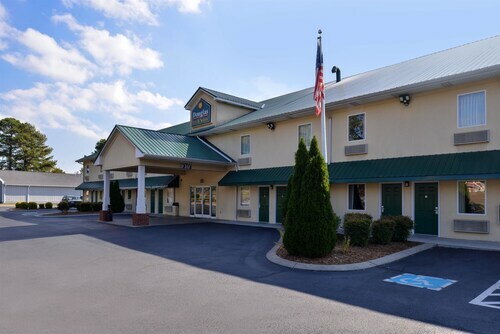 The Hampton Inn Cleveland, Holiday Inn Express Cleveland Northwest, Super 8 Cleveland, Baymont Inn and Suites Cleveland TN, Quality Inn, Clarion Inn and Red Roof Inn & Suites - Cleveland, TN are among the most popular options in Charleston. Nobody likes waiting around at the airport. But it's worth it when you remember the incredible destination that awaits! Located 40 miles (64 km) west of Reliance, Chattanooga Metropolitan Airport (CHA) is the closest terminal. Situated in Cleveland, this hotel is 0.9 mi (1.4 km) from Cleveland State Community College and within 3 miles (5 km) of Lee University and Tinsley Park. North Cleveland Church of God and Bradley Square Mall are also within 6 miles (10 km). Located in the heart of Cleveland, this motel is within 1 mile (2 km) of Bradley Square Mall and Tinsley Park. Cleveland State Community College is 2.5 mi (4 km) away. 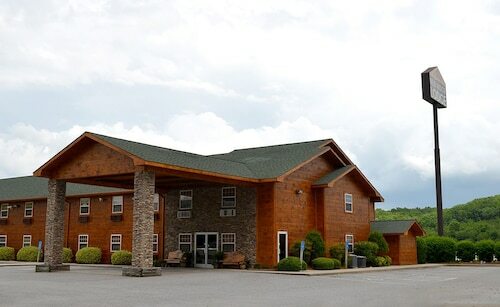 Situated in Athens, this motel is 1.2 mi (2 km) from Regional Park, and within 6 mi (10 km) of McMinn County Living Heritage Museum and Tennessee Wesleyan College. McMinn Field and Veterans Memorial Park are also within 6 mi (10 km). Situated in Cleveland, this hotel is 1 mi (1.5 km) from Cleveland State Community College and within 3 miles (5 km) of Lee University and Tinsley Park. North Cleveland Church of God and Museum Center at 5ive Points are also within 3 miles (5 km). Located in the heart of Blue Ridge, this hotel is within 3 miles (5 km) of Chattahoochee National Forest, Blue Ridge Lake Marina and Blue Ridge Scenic Railway. Blue Ridge Community Theater is 2.6 mi (4.2 km) away. Situated in the mountains, this hotel is 0.8 mi (1.3 km) from Blue Ridge Scenic Railway, and within 3 mi (5 km) of Mercier Orchards and Blue Ridge Lake Marina. Tabor House & Civil War Museum is 16.3 mi (26.3 km) away. 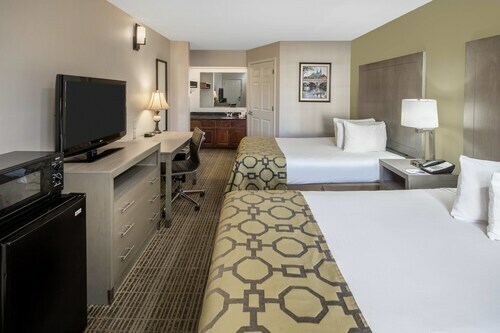 Situated in Cleveland, this hotel is 1.1 mi (1.8 km) from Cleveland State Community College and within 3 miles (5 km) of Bradley Square Mall and Tinsley Park. Lee University and North Cleveland Church of God are also within 6 miles (10 km). Situated in Cleveland, this motel is 0.8 mi (1.3 km) from Cleveland State Community College and within 3 miles (5 km) of Lee University and Tinsley Park. North Cleveland Church of God and Museum Center at 5ive Points are also within 3 miles (5 km).